PegaSys, the latest in wireless intelligent access control from Allegion, provides an instant and economical way to upgrade traditional mechanical doors to a fully electronically-controlled access system. 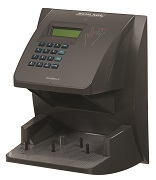 It is designed to provide a simple solution to common access control and key management problems, such as replacing cylinders when keys are lost, unauthorised key duplication and the inability to audit who went where and when. PegaSys is an easy to manage system aimed at site managers looking to improve the security and control they have over their premises but who are unable to commit to a significant investment - or who dont want the inconvenience of having to replace existing doors. It provides many of the benefits of a networked hard-wired access control system in terms of functionality, flexibility, control and security but at a fraction of the cost. Users are able to choose a level of complexity to suit their environment and access control needs. Not only is the system simple but it is flexible too, allowing users to easily adapt and expand their system to suit their changing requirements. To further reduce implementation costs and inconvenience, the PegaSys system is backwardly compatible with existing technologies and credentials, so sites that already have applications such as Mifare Classic or Legic can be easily adapted. 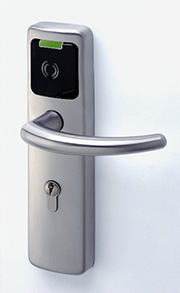 Specifically designed for use in hospital, university, leisure facility, airport, industrial or commercial building environments, and whether its one door or thousands of doors; a single site or multiple sites; the PegaSys intelligent locking system can provide a solution to meet your needs. This innovative system which can be easily and economically upgraded as your requirements change will give you peace of mind and allow you to focus on what you do best  running your business. All Allegion products are offered with industry needs in mind and are backed up by the companys full design and project capabilities, providing end to end solutions for all security needs.